You’re welcome to visit my studio to look at my paintings or to discuss a commission at any time. Just message me to arrange. John studied at Sunderland College of Art, Sunderland College of Education and Winchester College in fine art and education. He pursued a successful career in teaching and headship for many years. He lives and paints in the Yorkshire Dales, a wonderful environment and source of inspiration for the artist. 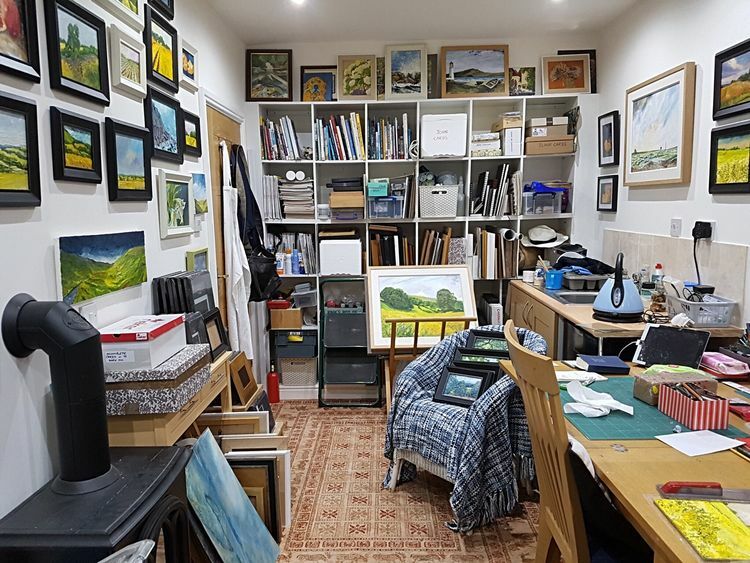 Over recent years, John has balanced his work between studio painting and plein air taking advantage of the immense space and splendour of the Dales. When we’re out gazing at a landscape we don’t usually fix our eyes on every petal, leaf or building. What we remember is how the view made us feel. Trying to capture that feeling in a painting is John’s artistic challenge.